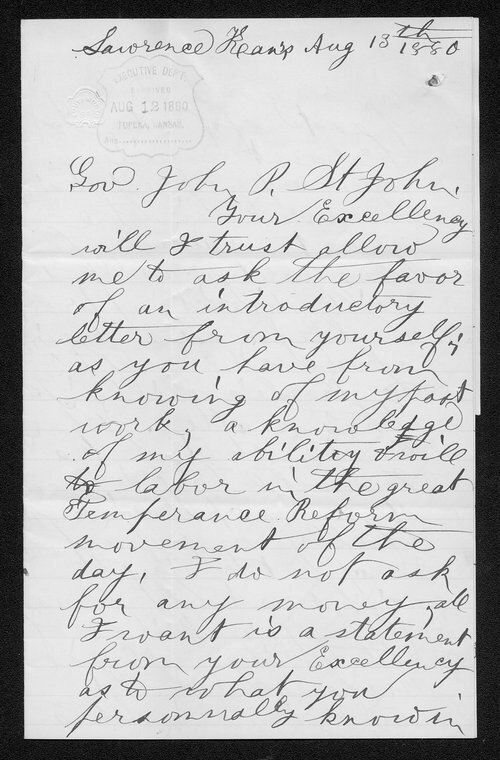 Kansas Governor St. John receives this letter from Mrs. M. E. Redrick, a Lawrence newspaper reporter and ardent temperance supporter. Redrick requests a letter of introduction from the Governor, enabling her to perform more work for the cause. Creator: Redrick, Mrs. M. E.